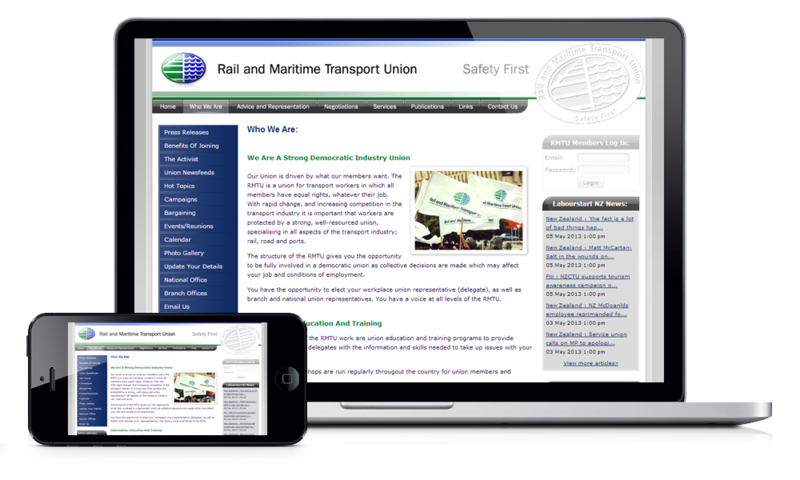 Designed for the New Zealand Rail and Maritime Union. It utilises the Adobe Contribute content management system. 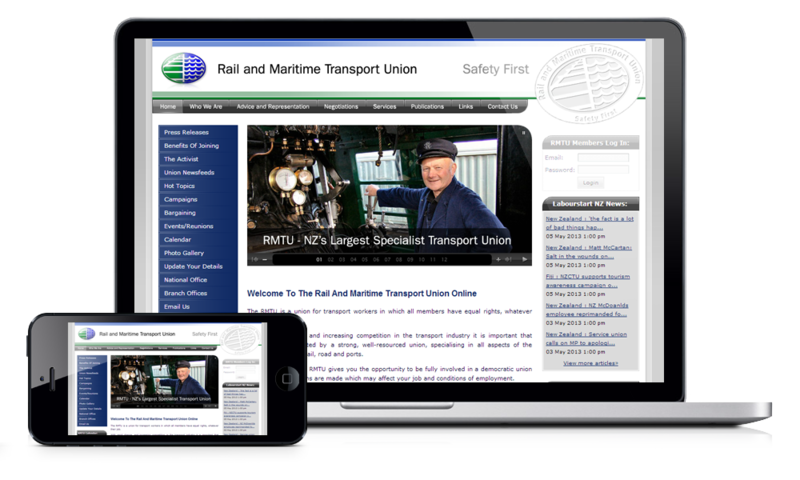 We also host the website on our New Zealand based server network. 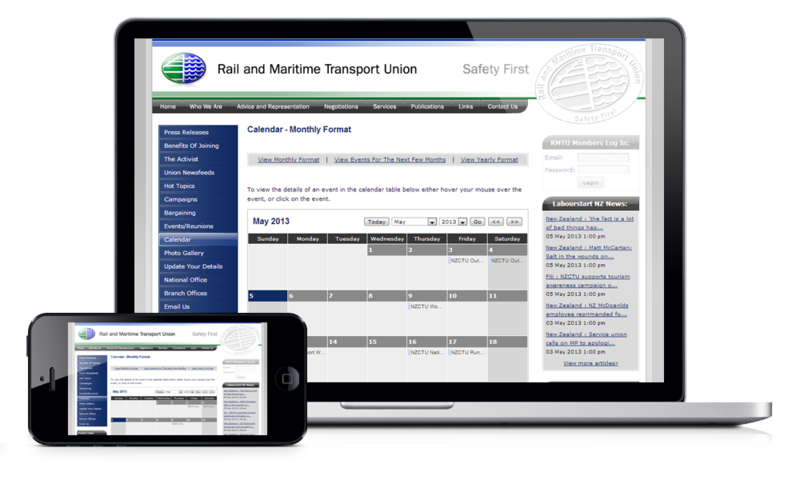 Built using XHTML, CSS and Adobe Flash, and features RSS and online calender. Need to contact Design Lounge with your pre purchase questions? Looking at getting a new website? Please fill in our Online Estimate Form. Do you already have a website, but need Premium Web Hosting for it? Design Lounge is proud to be one of New Zealands Longest Established NZ Web Design Companies. We are a proven player in the Wellington Web Design, the NZ Web Design and the NZ Web Hosting market since 2001. Design Lounge is based in the Wellington region of New Zealand. As well as NZ Web Design, we also operate one of NZs Longest Established NZ Web Hosting Networks, and also provide affordable Domain Registration services. Design Lounge is your One-Stop-Shop for all your Website Design and Hosting requirements. Learn more. Please no unsolicited marketing emails.